The Bloomington Symphony Orchestra (BSO) is a community orchestra located in the Twin Cities suburb of Bloomington, Minnesota. The BSO is made up of volunteer adult amateur, semi-professional and professional musicians from all around the metro area. Many of our members are professionals who love to play music in their spare time. If you are a musician who is interested in becoming a member or substitute player, please visit our auditions page. The BSO rehearses on Sunday evenings (6:25-9 p.m.) at Christ the King Lutheran Church in Bloomington, from the last Sunday in August through the end of the season, usually April. The BSO performs four season concerts from October to April, as well as a summer concert and an educational concert with the Bloomington Public School string students. 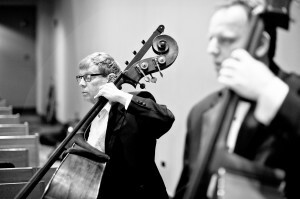 The BSO is supported by member dues ($120/year), individual donors and the City of Bloomington.